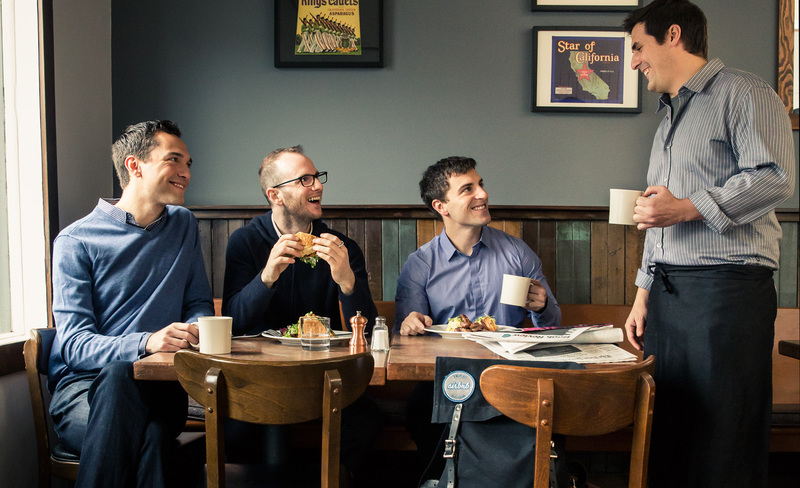 Airbnb Founders: Nate Blecharczyk, CTO, Joe Gebbia, Chief Product Officer, and Brian Chesky, CEO. The gentleman standing is the owner of a coffee place in SOMA. Photo by photographer, Marc Olivier Le Blanc.